What to look for when buying a used Toyota RAV4? The Toyota RAV4 is credited as being the first compact crossover-SUV, entering the United States in 1995 and becoming almost instantly popular. RAV4 stands for Recreational Active Vehicle with 4-wheel drive. The RAV4 is a five-seat compact crossover offered in either front-wheel or all-wheel drive variants. All U.S. versions have been sold with four-cylinder gasoline engines with a few alternative powertrain exceptions. Toyota renews the RAV4 with a new generation every 5-6 years,with the current generation having been introduced in 2013. From 1997 to 2003, the RAV4 EV (electric vehicle), a battery electric version of the SUV, was offered in small quantities; mostly for vehicle leasing to fleets. A new version of the RAV4 EV was introduced in 2012 for limited sales in California only, designed in collaboration with Tesla Motors. The 2016 model year saw the first hybrid model of the RAV4 being offered in North America. The first-generation of the RAV4 was marked by its boxy, rough-and-tumble looks akin to other offerings on the market at that time. It wasn't until the second-generation, introduced in 2001, that the Toyota RAV4 became a more car-like design as has become the norm in the crossover segments. This was exemplified by the third (2006) and fourth (2013) generations of the compact crossover. North American sales of the RAV4 have risen steadily since its introduction, topping 315,000 units in 2015. This makes the RAV4 one of the best-selling vehicles in Toyota's line of vehicles. Consumers who own Toyota RAV4 vehicles have relatively few complaints, with most coming from owners of high-mileage, earlier generations of the SUV. Excessive oil consumption is a common issue with high-mileage vehicles and is a common complaint in pre-2007 RAV4 models. Transmission problems in 2001-2002 models is also a common complaint, usually at 100,000+ miles on the odometer. The 2018 Toyota RAV4 isn't much different from the last couple of years, but it's still a mainstay in the compact crossover market. The RAV4 is due for a full redesign for 2019, so Toyota added a new "Adventure" trim level to keep the 2018 model year relevant. The 2018 RAV4's strong looks remain a reason for its popularity and Toyota's expected metrics of value orientation and well-rounded versatility keep the RAV4 on the radar. The new Adventure trim adds some aggressive aspects to the crossover, aiding its appeal to some buyers as well. 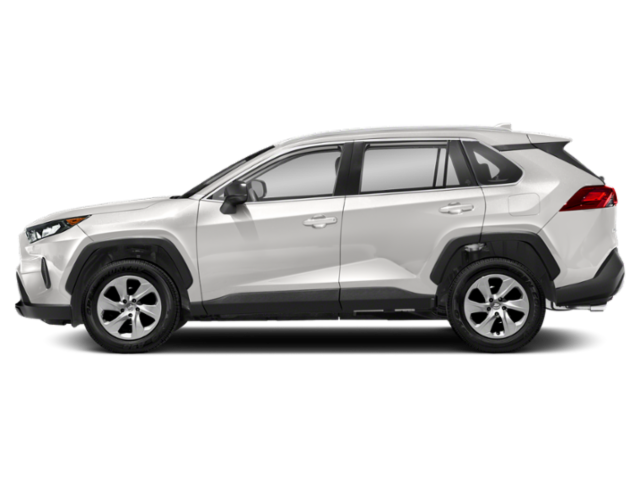 The 2018 Toyota RAV4 is a compelling offering with seating for five actual adults, generous cargo space and the best hybrid option on the market thus far. It's offered in five trim levels with either front-wheel or all-wheel drive. The 2017 Toyota RAV4 is virtually unchanged from the 2016 model year, when the crossover received a refresh with styling upgrades. The RAV4 remains a nice-selling crossover in the compact segment with sales numbers on the rise. Those attracted to the RAV4's unusually strong looks when compared with other Toyota models will find a well-rounded, value-oriented little crossover lies underneath that eye-catching skin. That said, shoppers should keep competing crossovers in mind while evaluating the 2017 RAV4 because the compact segment is very hot and full of excellent contenders. There are sportier, more fuel efficient and classier options available in this segment compared to the RAV4. Buyers who know what they want will definitely find it in the compact crossover arena. Yet the 2017 Toyota RAV4 is still a compelling offering. With (actual) seating for five adults, a generous cargo area and the hybrid option, there are a lot of reasons to look at the Toyota that helped found this compact segment. The 2015 Toyota RAV4 is the continuation of the newest generation of the compact crossover that popularized the category for consumers. The RAV4 was introduced by Toyota back in the mid-1990s and is now in its fourth-generation. When introduced, it was one of the few compact crossover SUV options on the market and was the first to become very popular among consumers. Today, the 2015 RAV4 is much more contemporary, but still holds bold styling and a lot of small family goodness. The current-generation RAV4 was introduced in 2013 and has seen some small improvements on that upgrade to become a much more compelling buy for 2015. The 2015 RAV4 isn't without its foibles, of course, and they may be deal-breakers for some. In the compact crossover segment, though, the 2015 Toyota RAV4 is a solid contender with a stand-out look.